Bayside always chooses February as the sew-in month. 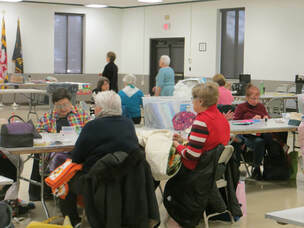 The guild meeting is devoted to the creation of kits, the sewing of quilts, pillows, burp cloths, and walker bags. 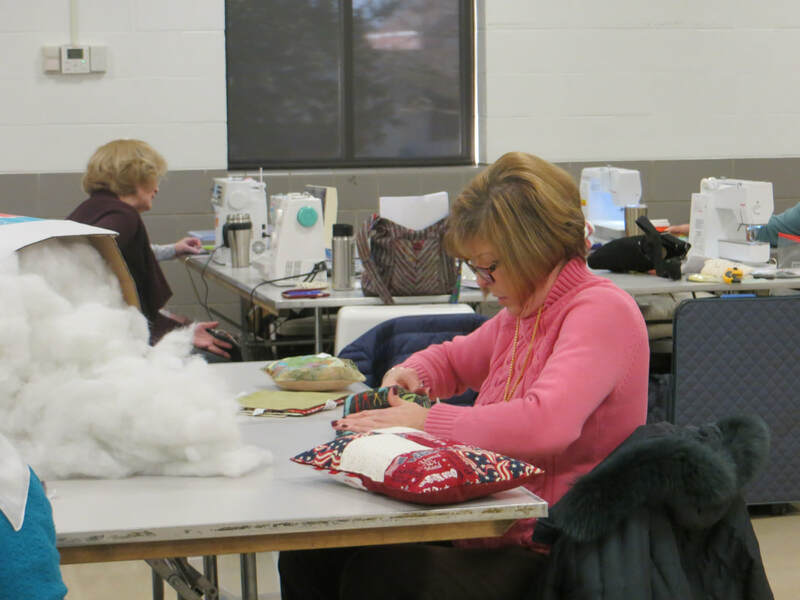 Some come with machines, some come to finish off the projects with hand sewing. At the end of the day, everyone is pleased with a job well done. 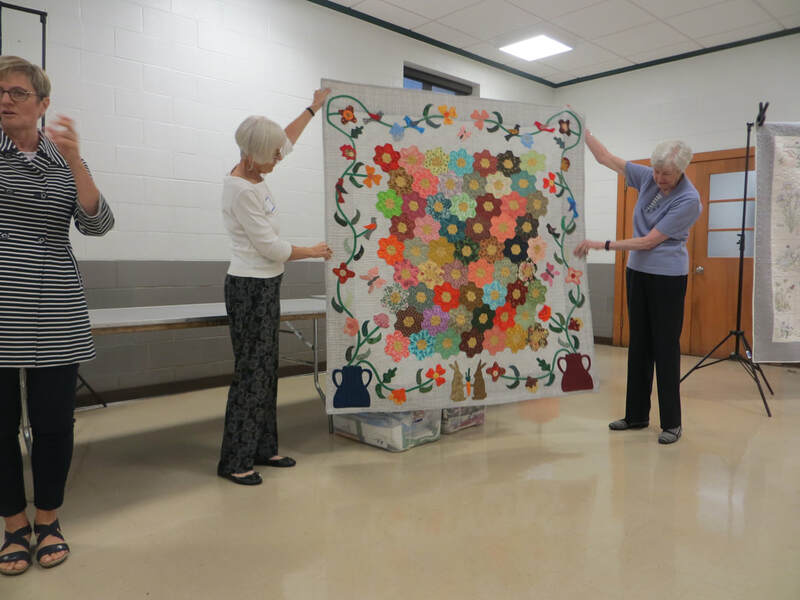 Kay began her quilting journey 30 years ago when she first made an Amish crib quilt for her newborn daughter. 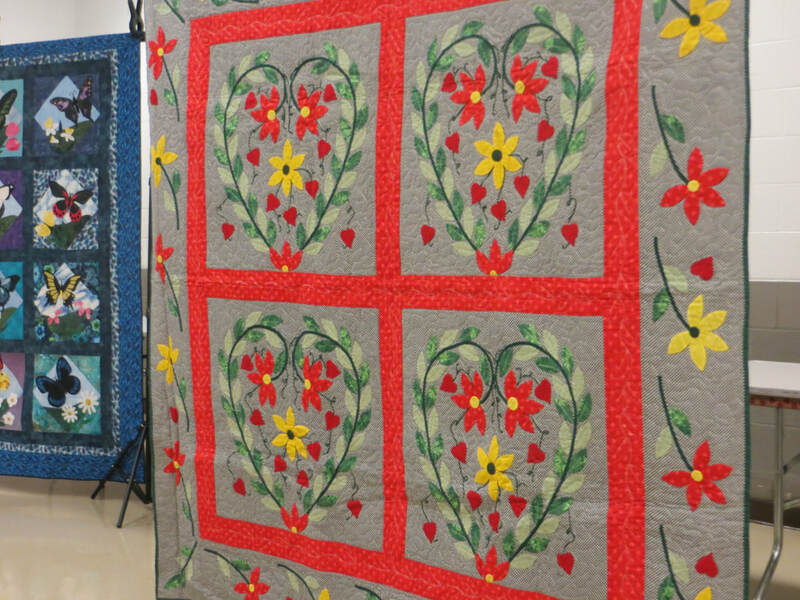 The quilting stitches of that little Amish quilt were real toe catchers, but that first project fueled a lifelong passion of quilt adventures and quilting projects. 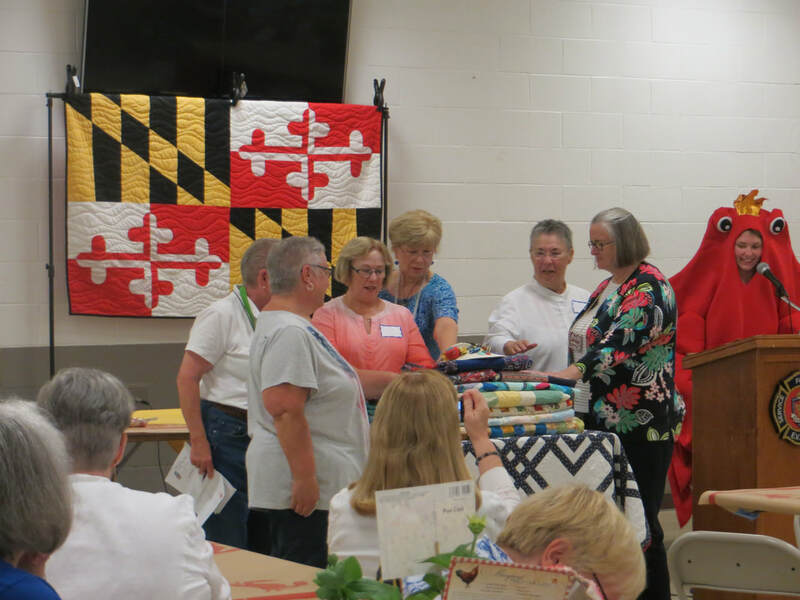 Kay is a past president of the Heartland Quilt Guild of the Eastern Shore and the Helping Hands Quilt Guild of Dover. 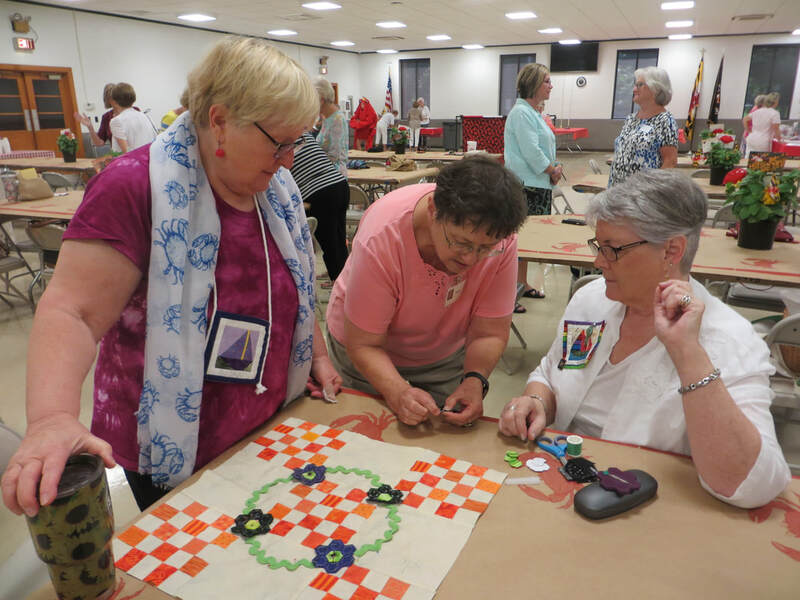 She is presently a member of five quilt guilds! 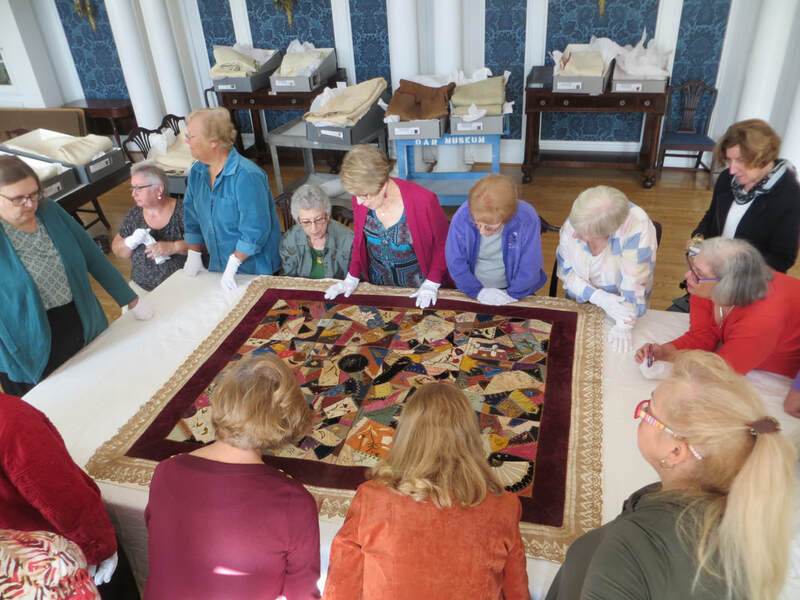 She is an avid antique quilt collector, quilt historian and conservator and is a member of the American Quilt Study Group. 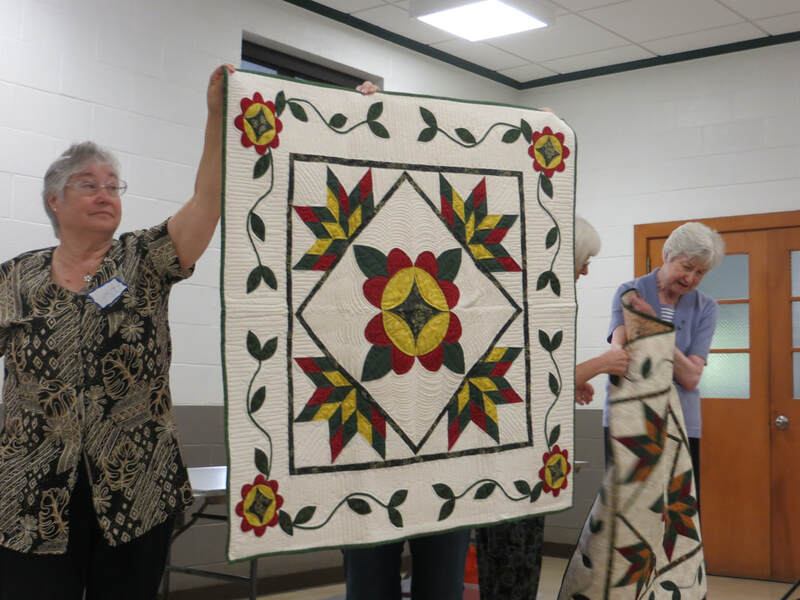 She has taught in the Caroline County School for 31 years and is now embracing her retirement years teaching the next generation about quilting. 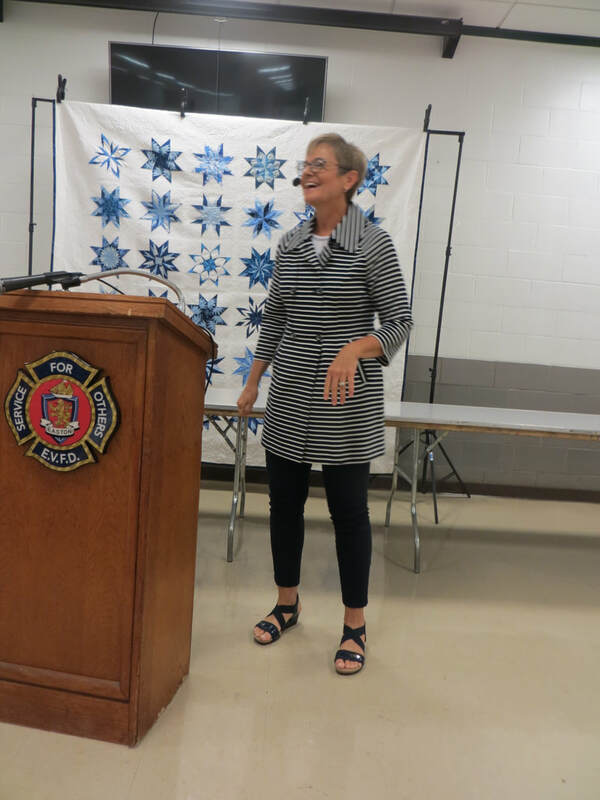 Kay enjoys making patterns from antique quilts and reproduces those patterns with modern fabrics. 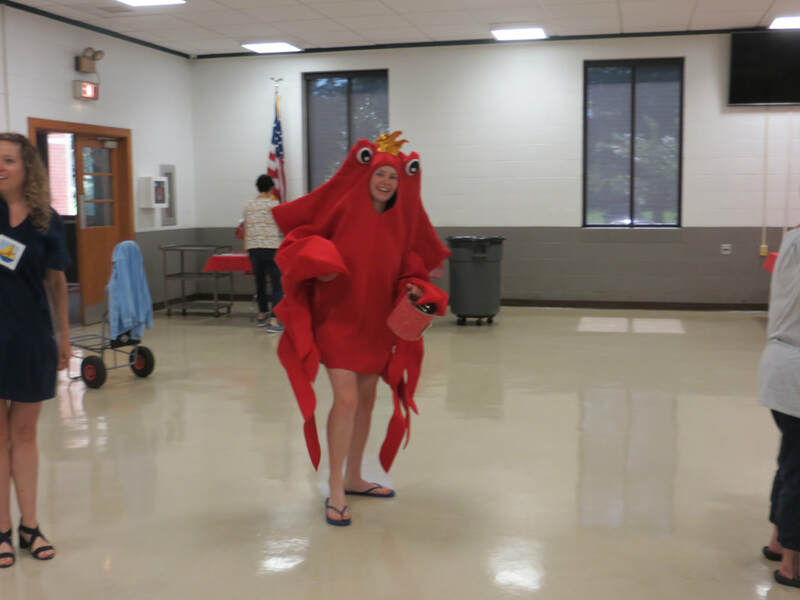 I am personally looking forward to what Kay will bring to the meeting. 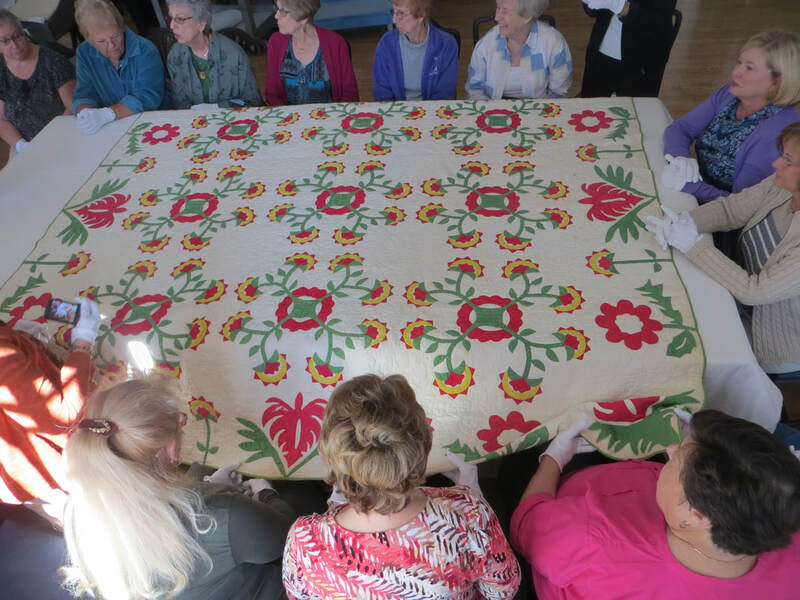 Kay is both an avid traveler and collector of antique and vintage quilts. 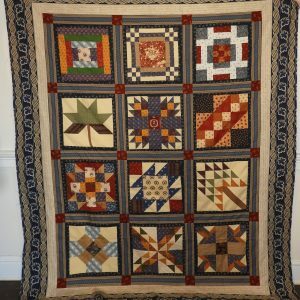 She has reproduced many patterns of known quilts for those that like to applique. I like to collect her patterns for my "someday". I can also personally recommend Kay as a teacher. 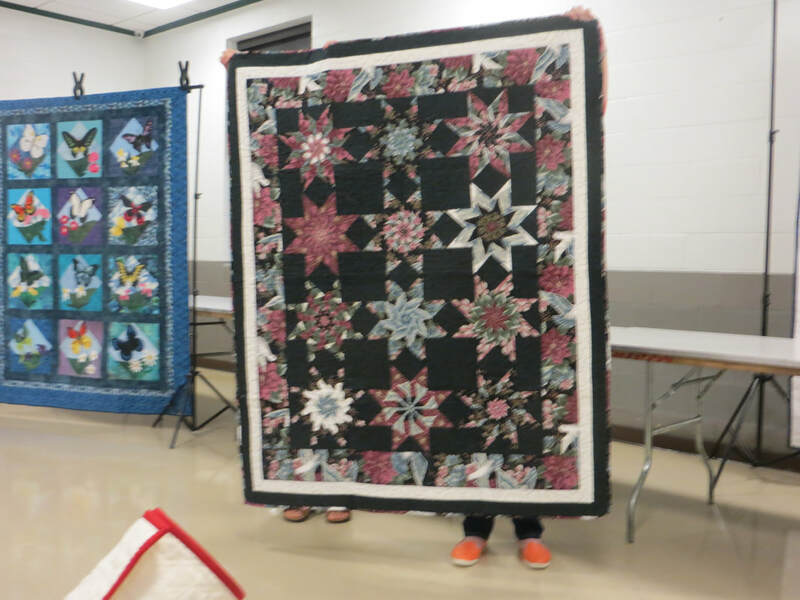 She was generous in allowing me to sit in on one of her early classes and I count her as my first real quilt quilt teacher. 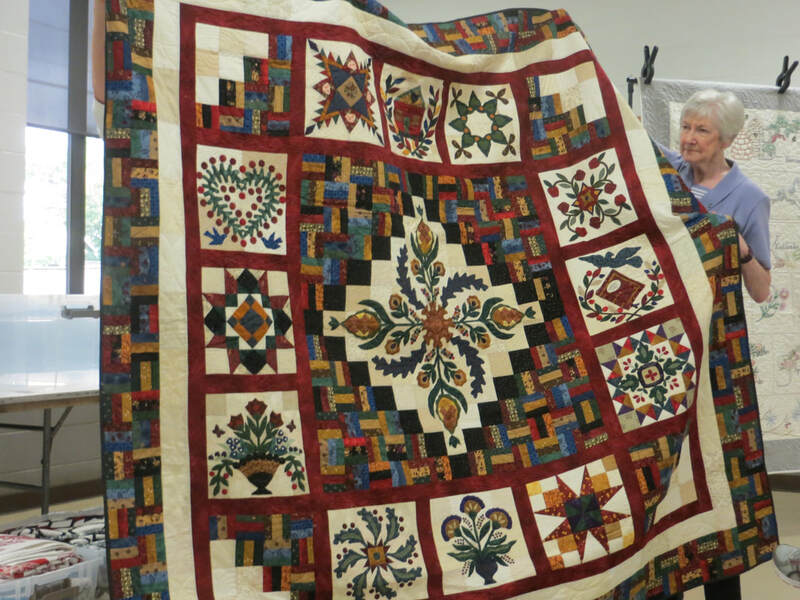 Kay will wow us with whatever she brings having recently had a quilt displayed at the Houston Show. 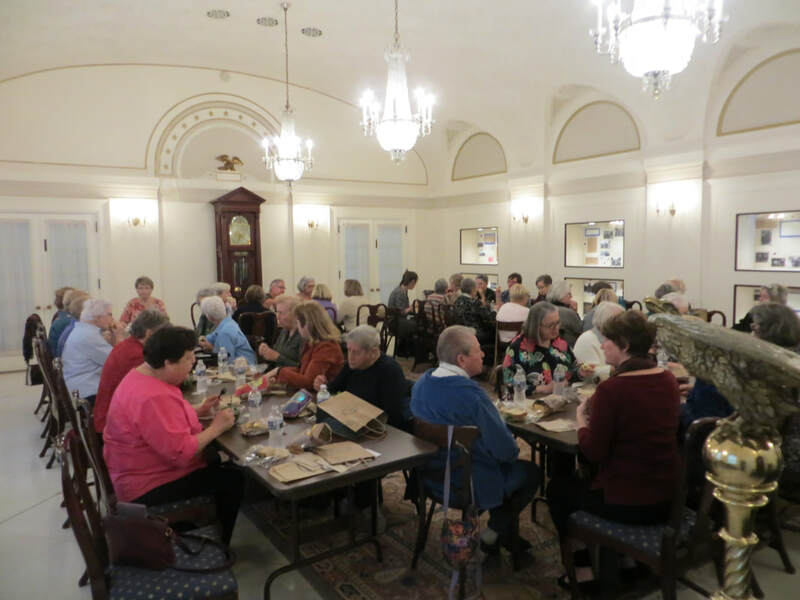 Many thanks to Kate Oursler, who organized the fantastic bus trip to the DAR. 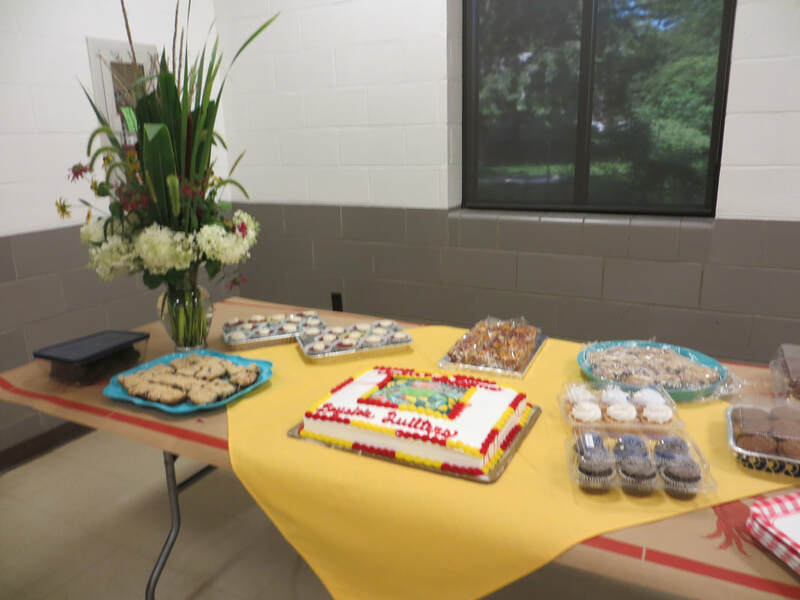 Forty members, I think I heard one was a guest, took advantage of the day which was bright and sunny if just a hair nippy, But who cared? Most of the day was indoors. 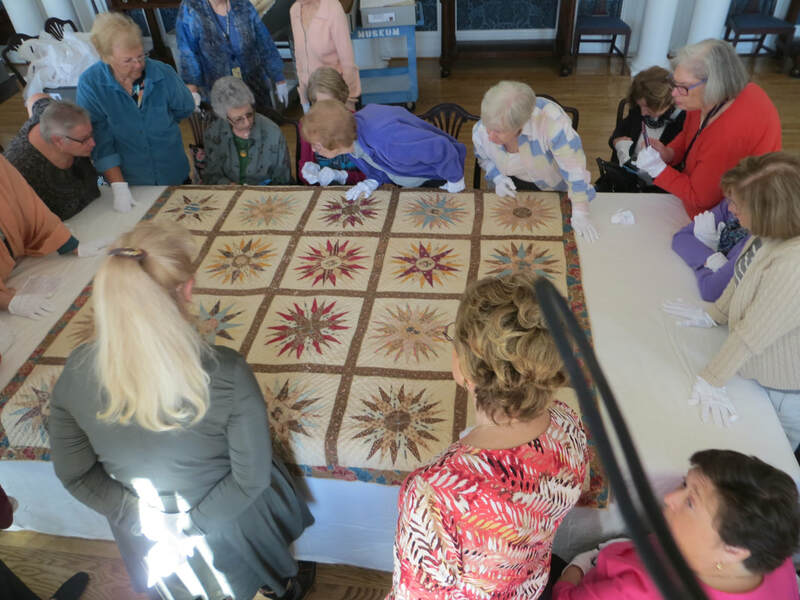 The group was split in two parts with one touring the museum and library and the other being presented a portion of the quilt collection. 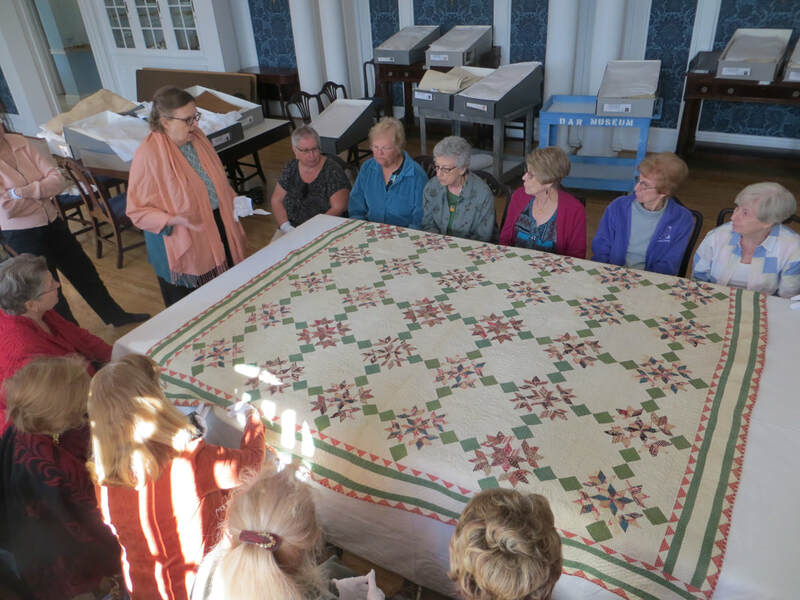 No drooling was allowed on the quilts but they were drool worthy, and inspired just a touch of quilt envy. 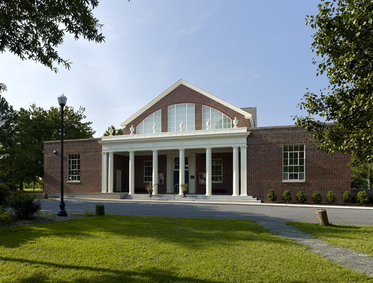 Period rooms and furniture feature throughout the museum with an emphasis on the home arts. If you have never been it is worth the trip. Have you used a podcast to learn a new technique? 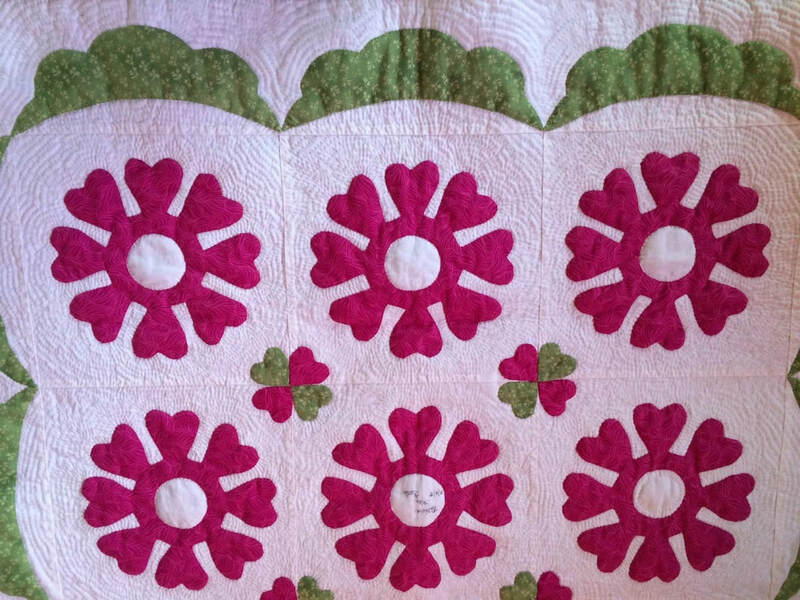 Have you been to a blog to learn the news of a favorite quilter? (No, this is not a new corner bar). Do you think you could take an idea and develop a tutorial to share or are you searching for one? Do you think app stands for an Advanced Placement Program, the Asia-Pacific Partnership, The Associated Press of Pakistan, or the Association of Professional Piercers? 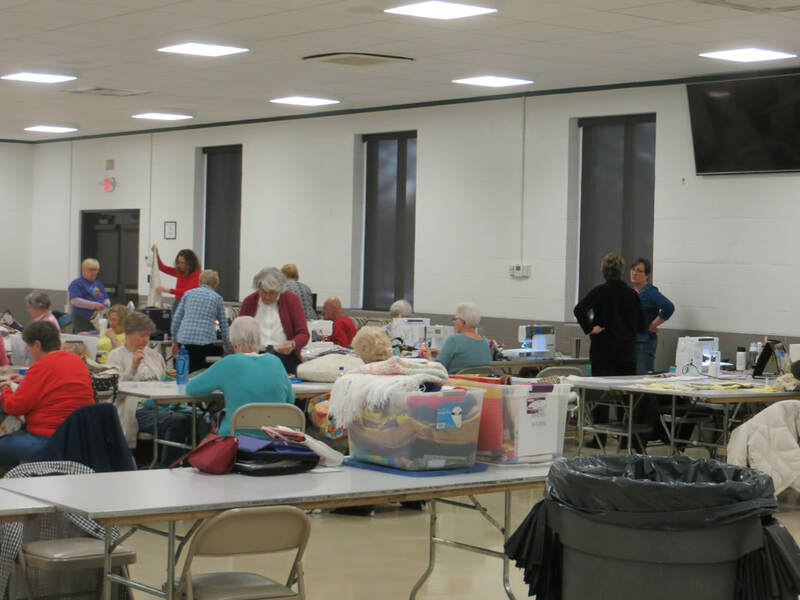 Our own Tyra Wingard will be our tour guide to using the internet as a resource for quilting websites. 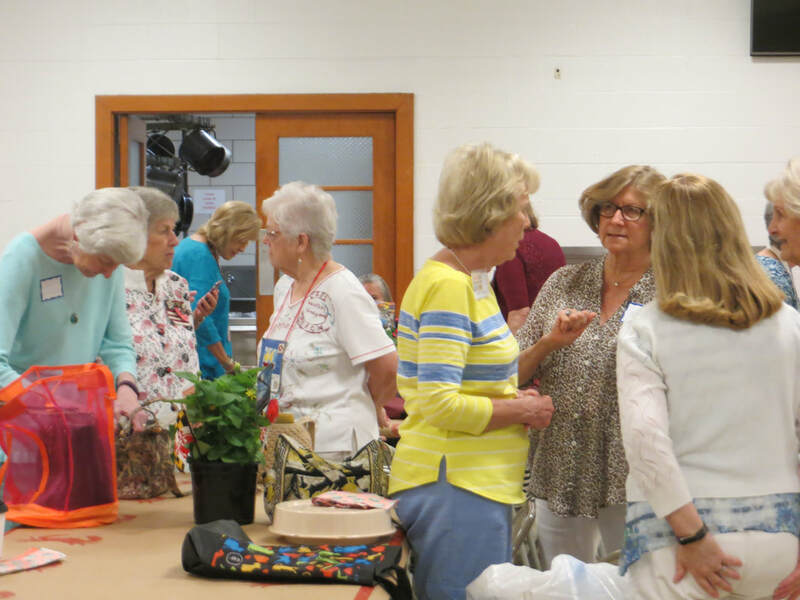 Attendees are encouraged to bring their own devices and or paper and pen to interact and share their favorite resources with the group. Turnout to listen to the topic of using the web was really good. Tyra did an excellent job pointing out the positives and the negatives of getting on the web. The biggest negative is you can get caught up in the exploration and valuable work time seems to disappear. But it sure can be fun and informative. 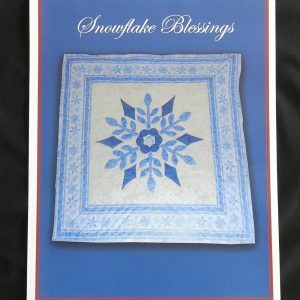 From classes to blogs to shopping sites it is all here to pursue and enjoy. Some of the websites that were mentioned. We hope to have a links page soon. Tyra kept the audience engaged. 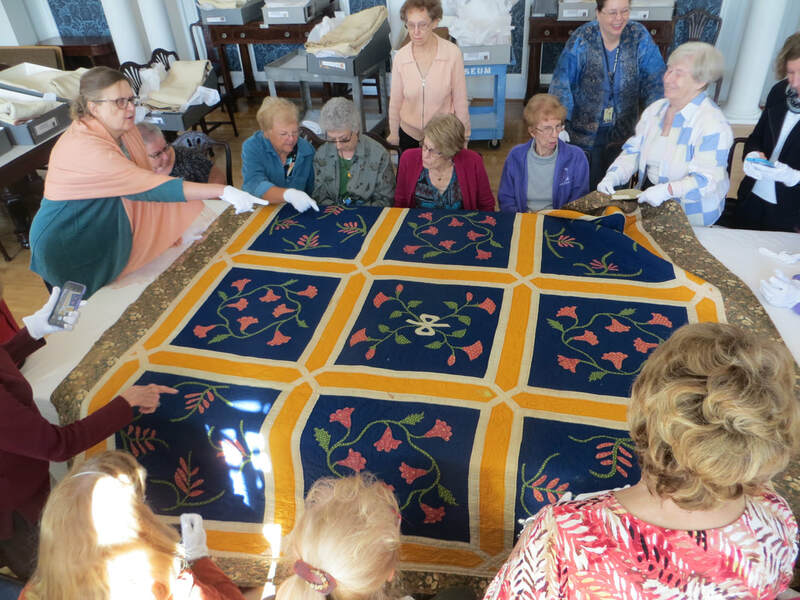 September 12, 2018 we were fortunate to see the collection of Margaret Hostetter. 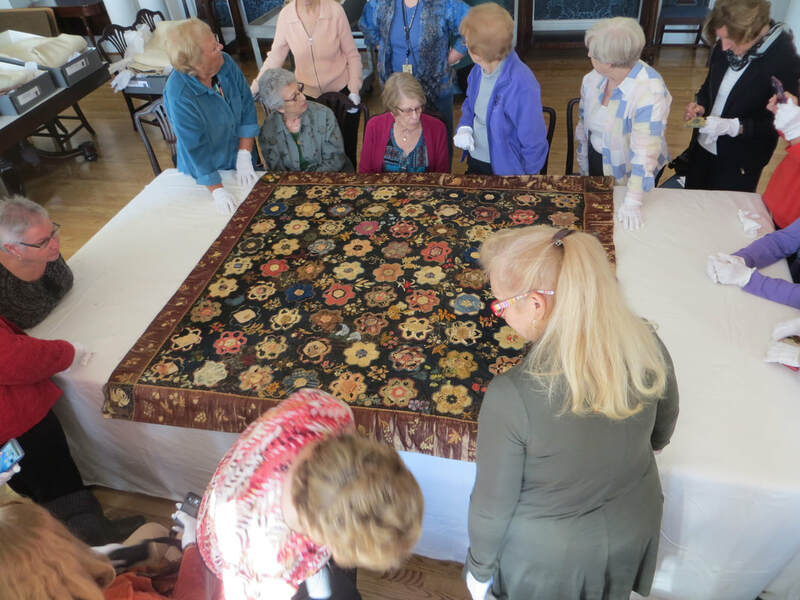 Margaret was not able to be with us herself from her Pennsylvania home, but her trunk show was presented by someone near and dear to her, her daughter Candy Stiffler. 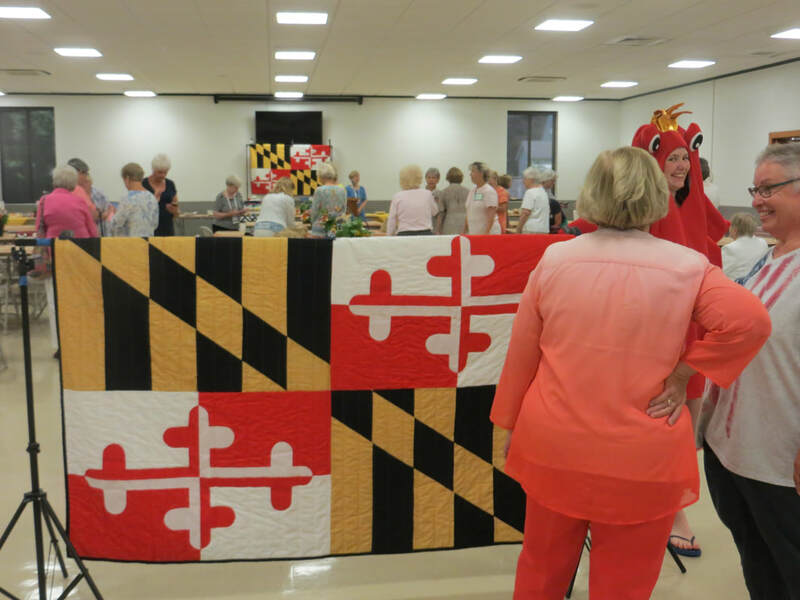 Candy is a proud member of the Bayside Quilters and owner of the Quilt Vine in Trappe, Maryland. 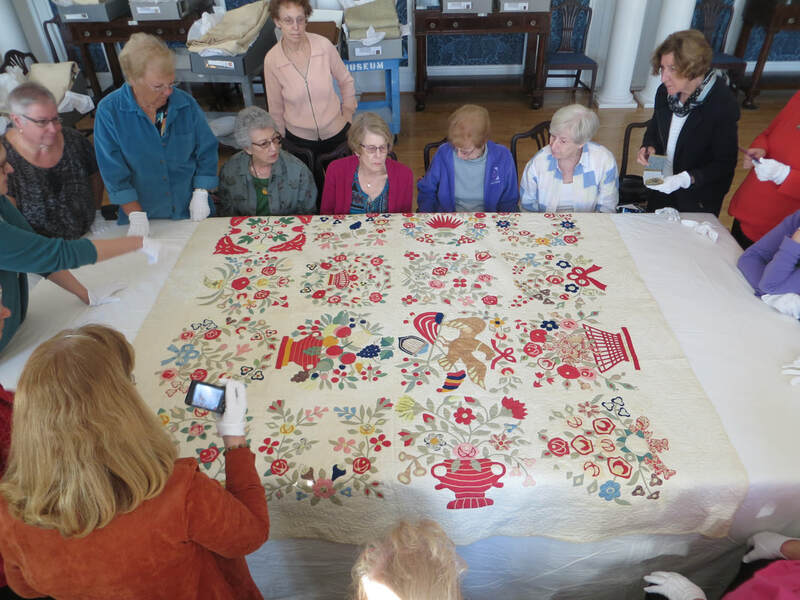 who is a long arm quilter. 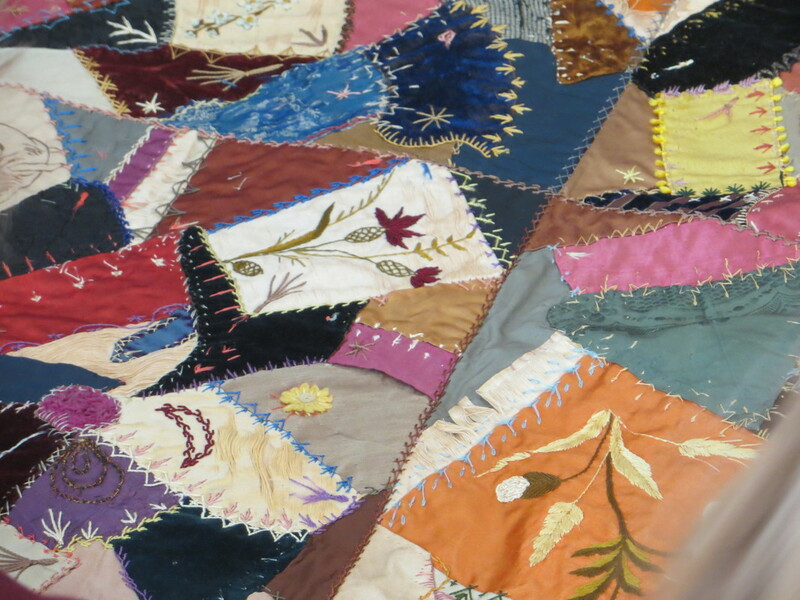 Included below are a sample in pictures of the quilts we enjoyed. Some made sure to keep busy. Be sure you get your ticket! Always the meeting of great minds. 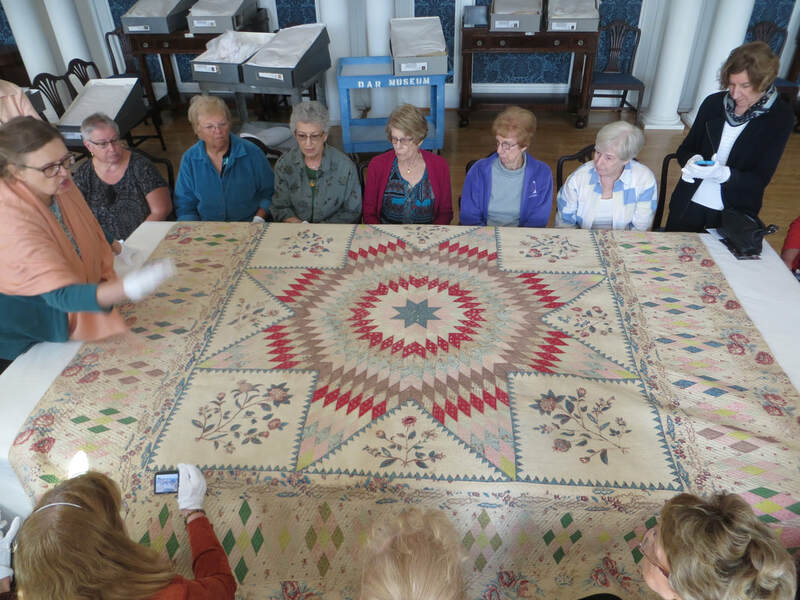 Swearing on the Quilts by our leaders. 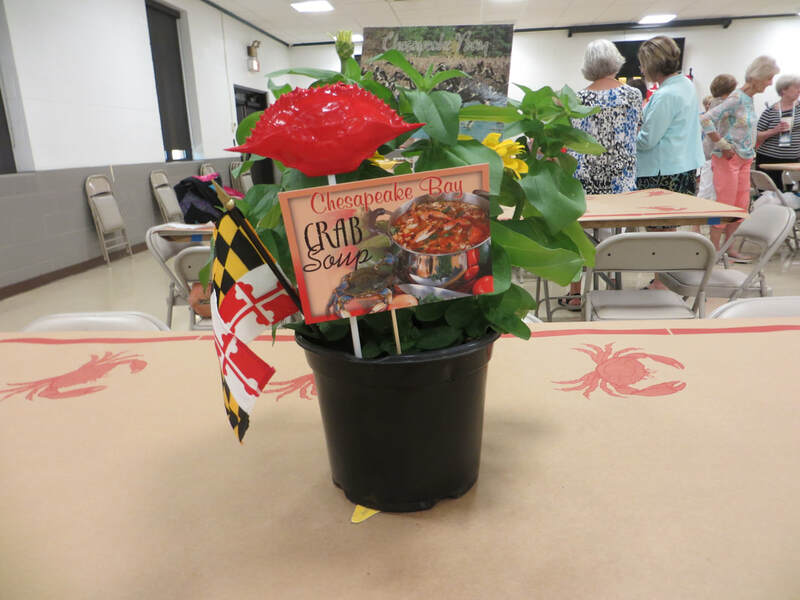 Ticket sales - $10 includes entry to all four locations! 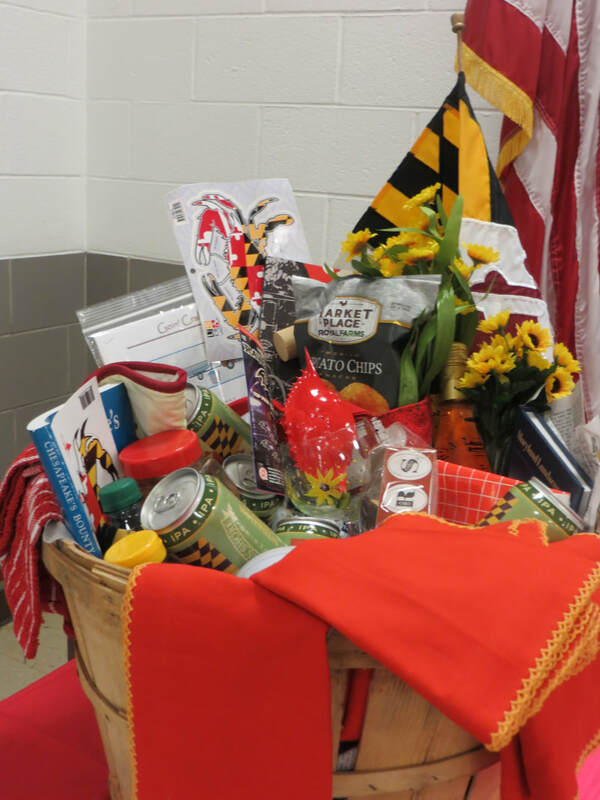 The Oxford Fire department (located next door to Oxford Community Center) has generously donated their engine bay for our vendor mall.